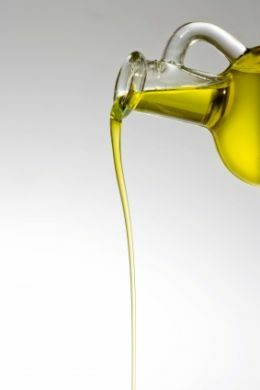 9 Then take the anointing oil and anoint the dwelling and everything in it. Make holy the dwelling and all its equipment, and it will be holy. This morning as I was reading out of my Mom’s bible I came across this scripture and these thoughts. On last Sunday I dropped my son off at college. It was very important for me to anoint his room and all things in it. I wanted to be sure NOTHING that wasn’t of Christ would be able to pass the threshold. I didn’t just take any oil; I took my mom’s oil. Oil that I had faith in. Oil I knew she had personally offered up to the Lord. My son and I prayed over his room, walked around touched everything and immediately felt as peace. Today, I did the same at my own home. Yes, I have anointed this house before (when we first moved in) but had I anointed EVERYTHING in it? The scripture not only says to anoint the dwelling but the equipment as well. I began to anoint my equipment (what I use for my business everyday) my hands, my computer, my mind, my heart, my lips; you get the idea. When’s the last time you anointed anything? Do you need anything to be holy in your life? If the answer is yes, put some oil on it! My muse talked about this all day, even acted on it by doing the same! What did it for me was “and it will be Holy!” No doubt, as Christians, we need to be surrounded by purities here in a world of impurities! I’m going to be mindful to “oil” my everything and “it will be Holy!” Thanks Coach!